Google Expands Trend Tracking With "Insights For Search"
Google has just written a blog post introducing “Insights for Search”, an extension to its Google Trends and AdWords products that allows users to track keywords across different verticals, geographic locations, and time periods. According to the post, the new service is designed to help advertisers and marketers get a better understanding for user search behavior. You can access the Insights to Search homepage here (you’ll need to login to your Google account). 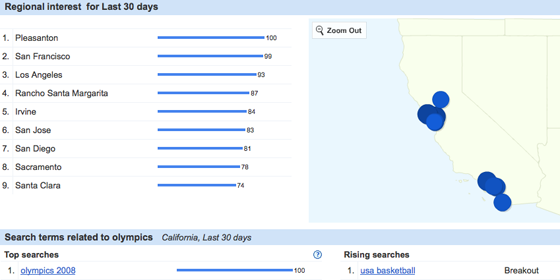 Insights for Search bears more than a few similarities to the recently updated Trends site, but with a few additions. The new service allows users to more thoroughly analyze search volume patterns by introducing a number of new filters. Users can now specify what category their search term falls under (for example, you can distinguish between Apple the computer company, or the fruit), and you can generate a heat map detailing where search queries are originating from.